As a homeowner, one of the costliest and, commonly overlooked, parts of the home are your sewer lines. Without maintenance, these lines can bust and lead to very costly water damage. Let’s discuss what leads to these costly repairs, how to prevent them, and what proper preventative maintenance of your sewer lines looks like. The easiest way to save yourself money in repairs is to prevent the issue before it begins. The first, and simplest, a form of prevention is being aware of where your sewer lines run and being aware of any trees around them. Root damage is an extremely common issue which is so easily prevented. Start by removing any trees that are close enough to your sewer line to cause possible root damage as the tree continues to grow. In the future, remember to be conscious of the lines when planting any new trees, and easily prevent the possibility of damage. The second way to prevent damage to your lines is by limiting the amount of grease running through. Grease can cause blockages in your sewer lines, which you may not know about until it’s too late. As a preventive measure, you can install a grease receptor under your sink. This receptor catches any grease or oil before it ends up in your sewer lines. A third preventive measure is being conscious of what goes into your sink. This may seem like common sense, but people often overlook it. As you’re doing the dishes, be sure no large pieces of food are going down the drain. Preferably, any remaining food should be thrown away, but at a minimum make sure they’re being put down the disposal before going down the drain. 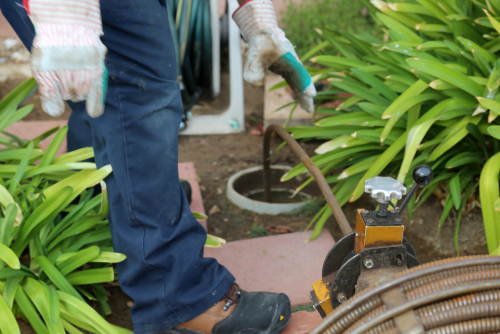 Finally, be aware of what is going into your sewer lines both inside and outside of the home. Outdoor water lines should be covered with a grate to catch any large chunks of debris or leaves. All of these items can cause unwanted blockages if they make their way down the sewer lines. Inside the home, be sure you aren’t flushing any objects which shouldn’t be flushed and have the potential to clog the lines. This includes diapers, cigarette butts, and feminine hygiene products. No matter how many preventive measures you take, you also have to practice good line maintenance. This helps to find and fix issues before they become worse and more expensive. Sewer lines have the possibility of collapsing, and finding this collapse before it gets worse will save you a major headache. Hire a professional to come out with a camera that goes into the lines and discovers where the collapse is, then they can fix it before more damage occurs. Sewer backwater is another common issue, this occurs when city lines are overwhelmed by a bad storm or lots of rain. You can hire a professional to install a sewer or backwater valve and get the lines flushed if need be after a bad storm. The most important thing to remember as a homeowner is that prevention is easier and cheaper than fixing a major line issue. If you do think there’s an issue, call a professional right away. Getting issues fixed before they get worse will make all of the difference in the lifespan of your sewer lines. 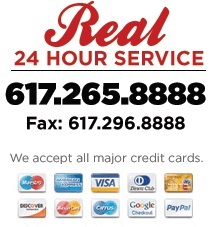 For a quality preventative maintenance of sewer lines, contact Boston Drain Company today!